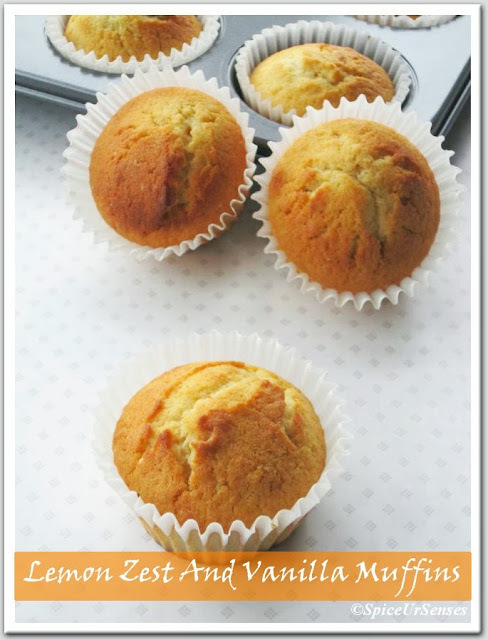 Lemon Zest And Vanilla Muffins.. In a small bowl, mix together the flour, lemon zest and baking powder, set aside. In a mixing bowl, cream together the sugar and butter. Add the eggs, vanilla and cream together until you get a smooth mixture. 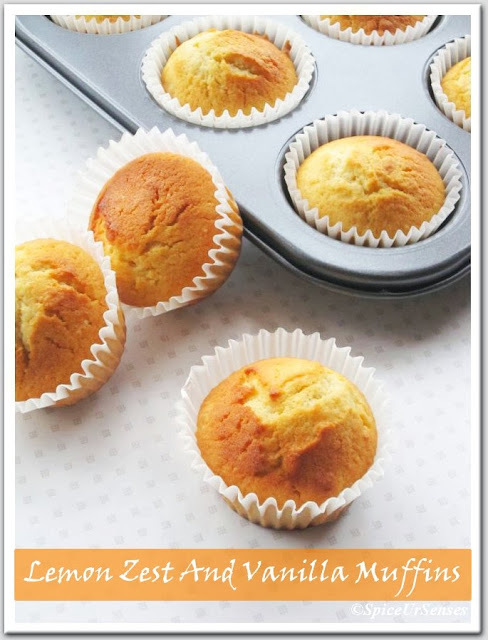 Scoop the batter into your lined cupcake tin, make sure it's only filled ¾ of the way up because they will rise. Bake for 20 minutes and let cool for sometime. 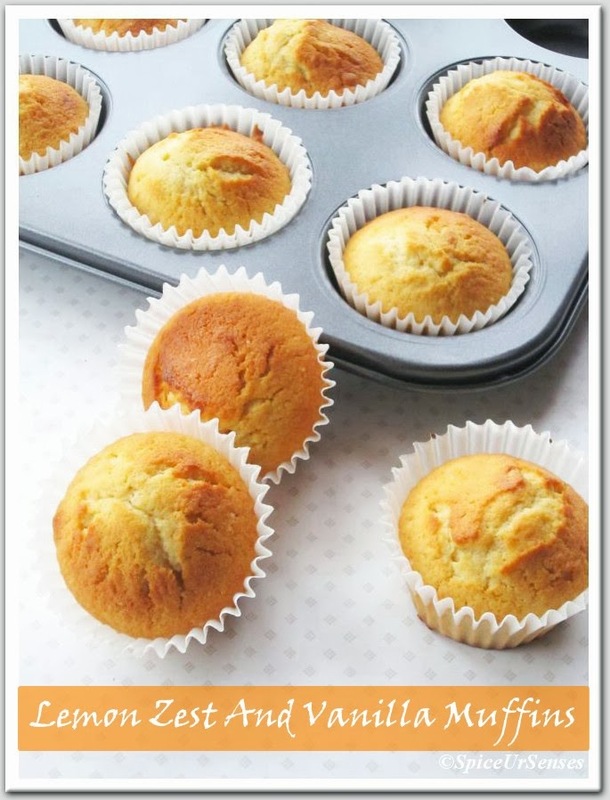 Perfectly baked muffins. Love the simple colour. So cute!! 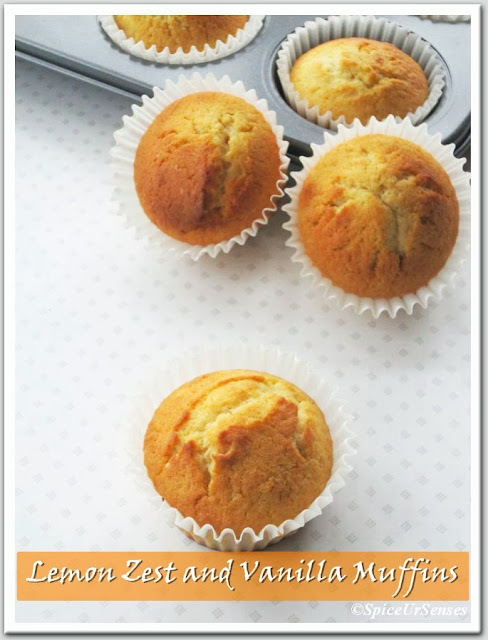 perfect looking and inviting muffins. 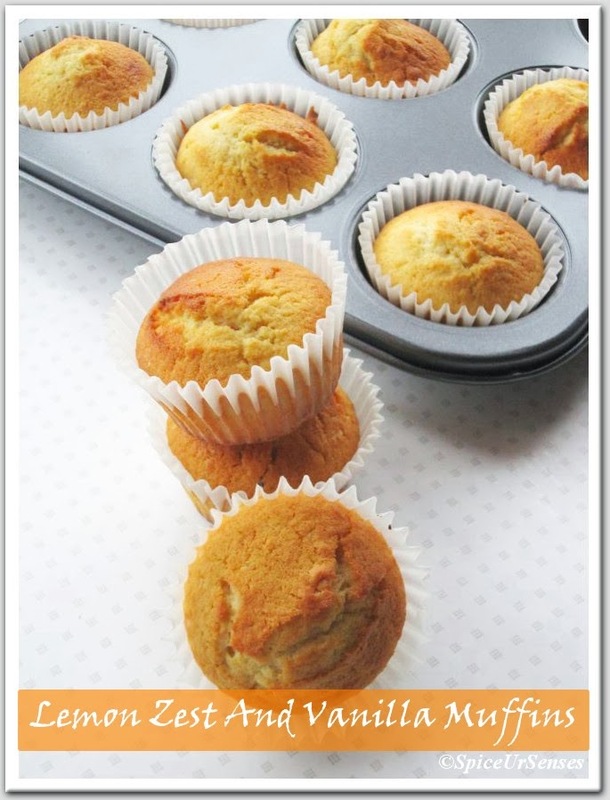 can feel d taste of these cuties..looks super awesome..
Beautiful cirtusy muffins, yes oven is best when comes to bakes. 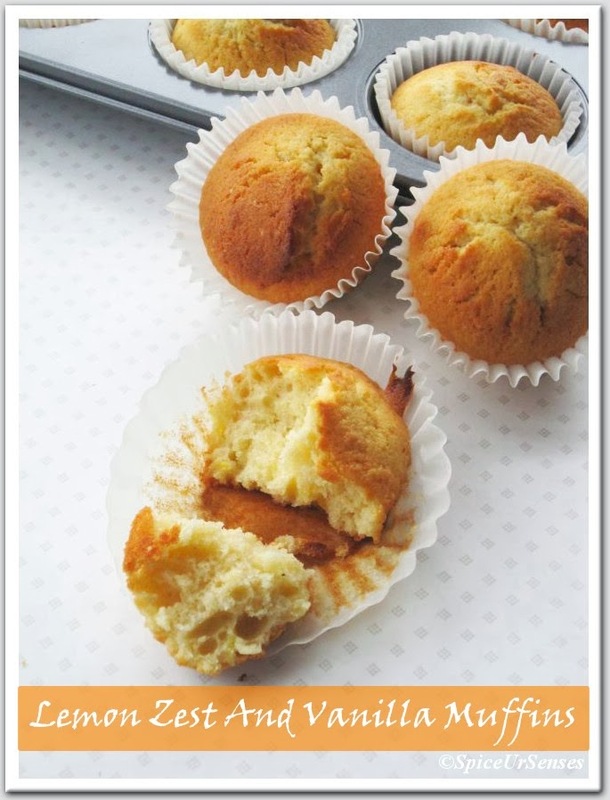 Perfectly baked...I can fell the taste..yummmmm I adore the lemon so must must try for me!